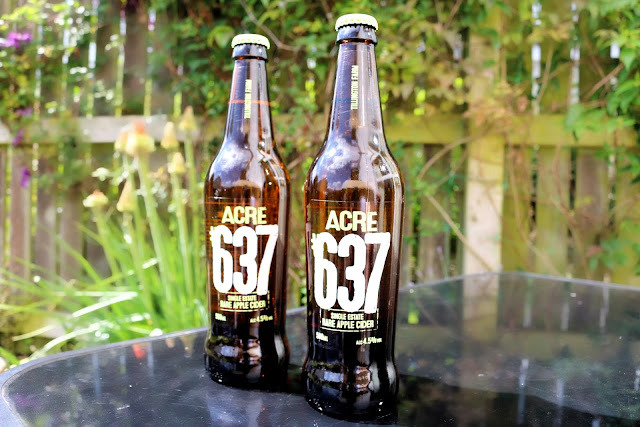 The other week the people at ACRE Cider kindly sent me a few bottles of their #637 rare apple cider to try out. I am a big lover of cider, more times than not it's my go to drink when I'm out so this was a lovely little treat and we ended up having the perfect day to try it, sitting in the sun sipping away on this extremely tasty drink. The bottles are quite big which is great, 500ml each ALC 4.5% VOL. I kept the bottles in the fridge until I was ready to crack the bottle opener out and get tucked into a nice cold bottle of cider. I must say that I was pleasantly surprised with this because I am used to drinking either dark fruits cider or cider and blackcurrant when out so that I can have a nice sweet, fruity taste but this was really nice, not dry and I found myself a little sad when finished because I would really have liked to have a few more bottles in the fridge for a later date so I now need to find somewhere to buy these as it's a cider that goes down really well and I found that I still got the sweet taste from it that I would get in the usual ciders I would drink. After trying this lovely Craft cider I think I'm going to look into more as I found this really enjoyable. It's brewed in the English country side using extremely tasty heritage apples to create their artisan cider. They have said that "As the summer lasts longer in the Herefordshire countryside, allowing the apples to soak in the summer sun slowly, it gives them their mellow English flavour" I actually really enjoy finding out where my drink comes from as it's really interesting to know what goes into the drink and how it's sourced. They have also said "The great story about Acre 637, is the type of apples that go into their craft cider, sourced from rare varieties presenting a unique and fresh taste." 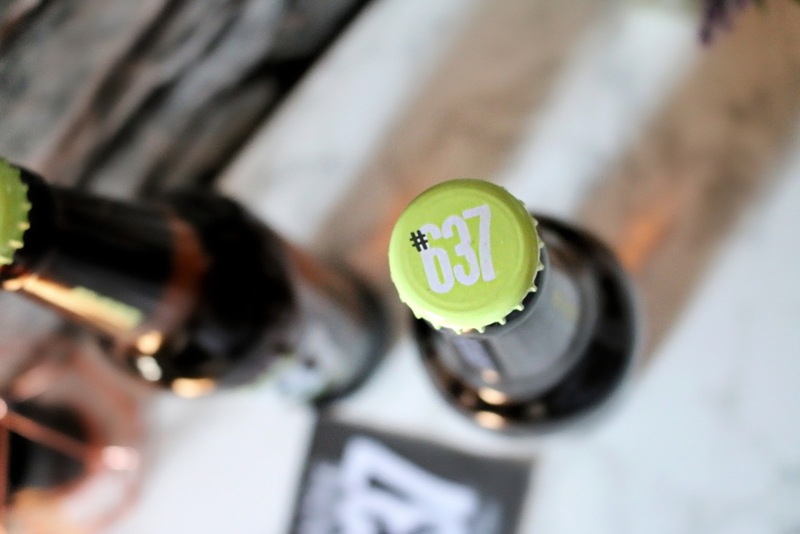 "Lightly carbonated, medium-dry finish, like an old Normandy cider. Always 100% heritage juice. 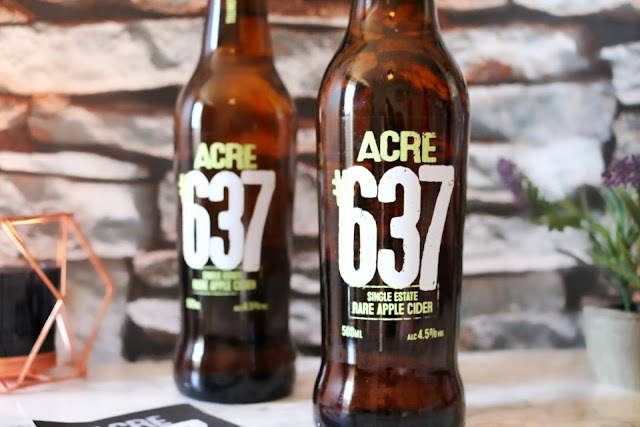 A unique selection of rare heritage and traditional cider apples are carefully blended together to make Acre 637. You won’t find these apples in any other cider. When we say they’re rare, we really mean it. It’s all very hush hush though – we keep our orchard hidden from prying eyes… tucked away in an unmarked, secret acre: known only as No. 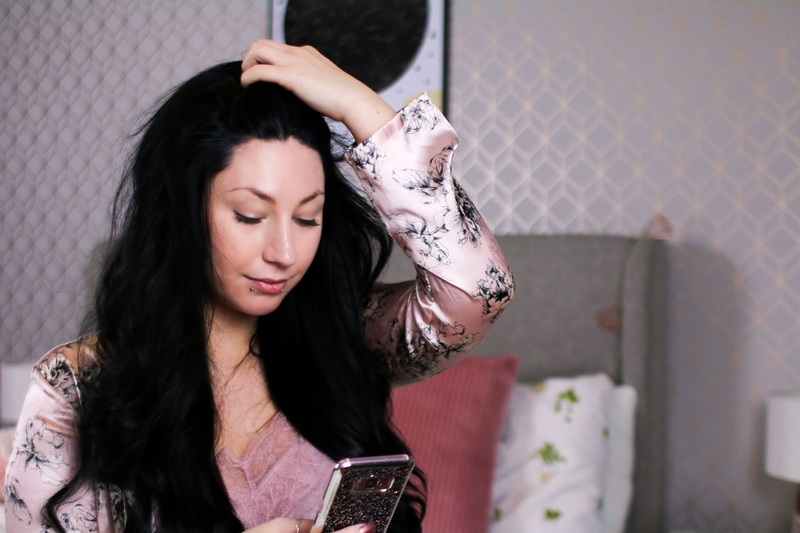 #637." 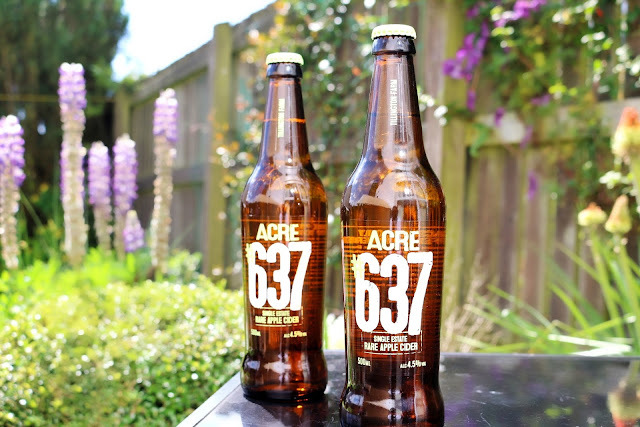 I am really thankful to the people at ACRE #637 Cider for giving me the opportunity to taste this beautiful cider, I have gotten a taste for it now and since it's summer (well meant to be, I can just crack a bottle in my room with sunglasses on and pretend it's super hot outside, right?) These are the perfect drink for a lovely little BBQ with some friends. I really do recommend you try this beautiful craft cider, especially if you love cider as much as I do. ooo those sound lovely, the warm weather makes me crave ice cold cider at the moment, lovely! Ooh I got sent a few bottles of this to try too, and I'm also really enjoying it! Such a perfect drink for summer, I actually prefer cider like this rather than the fruity ones so it's been perfect. Love the bottles too! we also would like to taste it. I love cider as a refreshing drink! Im not a big cider fan myself, but I am always hoping to try one I like. Maybe I will try this one out. Cinder is very much a summer drink to me, I love nothing more than laying out in the sun with a cider in one hand and a book in the other. I haven't heard of this brand before but I'm really intrigued! I really can't stand dry cider but after trying a Pomegranate and Raspberry cider by Smirnoff the other weekend and really enjoying it, I definitely need to branch out more! Like you say, this sounds perfect for sipping on at a BBQ! 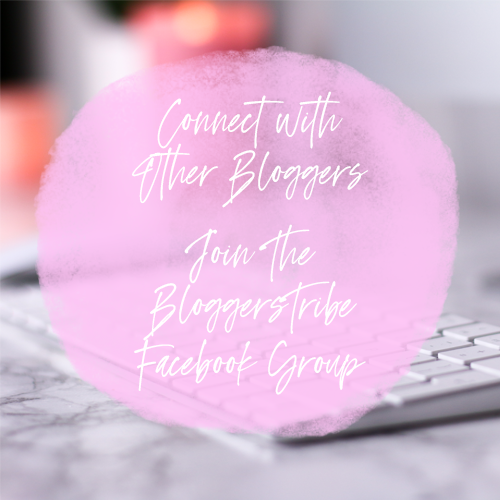 I love the sound of this!! I am a massive fan of fruit cider and I think I need to get my hands on this. Brilliant that it makes you feel like it's Summer, I think that's what we need at the moment. Cider is usually my go to drink as well and this looks lovely! I like the classic look of the bottles and sometimes I dont' want a super sweet cider either.